Just recently, we had to endure the heavy traffic in the vicinity when a car slammed against the opposite lane and caught on top of the creek and killed another driver. As a newbie driver, I could only fear the most - road accidents and I could only be careful in my driving but I could only wish that other drivers can be as careful as well. Wear your safety belt and other protective gears esp for motorcyclists like helmet and pads. Never drive when you are drunk, in meds that may cause dizziness, in extreme emotions. 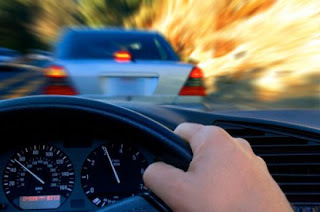 For more inputs, you may read this Driving techniques to avoid accidents and fines.